In 1982, Drs. Linda Acredolo and Susan Goodwyn discovered that babies were spontaneously using simple gestures to represent words they were not yet able to say. They might sniff for “flower,” pant for “dog,” or flap their arms for “bird.” What would happen, Drs. Acredolo and Goodwyn wondered, if parents just helped the process along? Thus began a major breakthrough in infant-parent communication called the Baby Signs® Program – a natural baby sign language that allows babies and their parents to use simple signs to communicate important things – like being hungry or thirsty, hot or cold, afraid or sad – often a full year before babies could otherwise speak. Through two decades of research, much of it funded by the National Institutes of Health, Drs. Acredolo and Goodwyn have demonstrated that their Baby Signs® Program has dramatic benefits, including decreasing frustration for babies and parents, enriching the parent-child bond, boosting emotional development, helping babies talk sooner– even raising IQ. 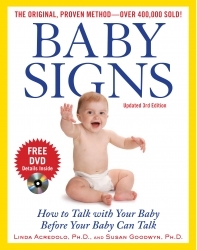 Their ground-breaking book, Baby Signs: How to Talk to Your Baby Before Your Baby Can Talk, was published in 1996 and quickly became a bestseller (over 500,000 copies sold in the U.S. alone and has been translated into 14 foreign languages). The Baby Signs Program has been featured on national television, including the Oprah Winfrey Show, NBC Today, ABC 20/20, Dateline NBC, CBS Morning Show, ABC Good Morning America, and NBC Nightly News. Articles about the Baby Signs Program have also appeared in leading newspapers, and in national magazines including Newsweek,US News and World Report, Child, Parents, and Parenting. In July 2000, Drs. 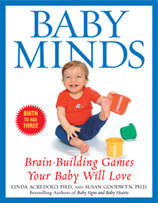 Acredolo and Goodwyn published a second book for parents, Baby Minds: Brain-Building Games Your Baby Will Love, with Bantum Books, a Division of Random House. This book also became a best-selling parenting title and has been translated into eight foreign languages. Baby Minds has been featured on NBC Nightly News, ABC Good Morning America, and in the PBS Child Development series produced by the Dr. Benjamin Spock Foundation. Drs. 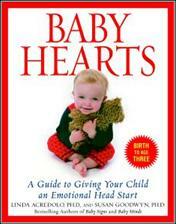 Acredolo and Goodwyn’s third book, Baby Hearts: A Guide to Giving Your Baby an Emotional Head Start, (Bantum Books, Summer 2005), focuses on new research that reveals the rich, emotional lives of young babies and teaches parents ways to cultivate their child’s emotional intelligence. With the completion of Baby Hearts, Drs. Acredolo and Goodwyn provide parents with a comprehensive approach to fostering their child’s social, emotional, intellectual and language development, laying strong foundations for their child’s future success. Based in Hong Kong, Baby Signs Hong Kong (BSHK) is the exclusive, licensed distributor of the Baby Signs® Program and its products in China, Hong Kong, Macau, and the Philippines. BSHK also manages the training and certification of new independent instructors and early childhood education centers in these four markets. 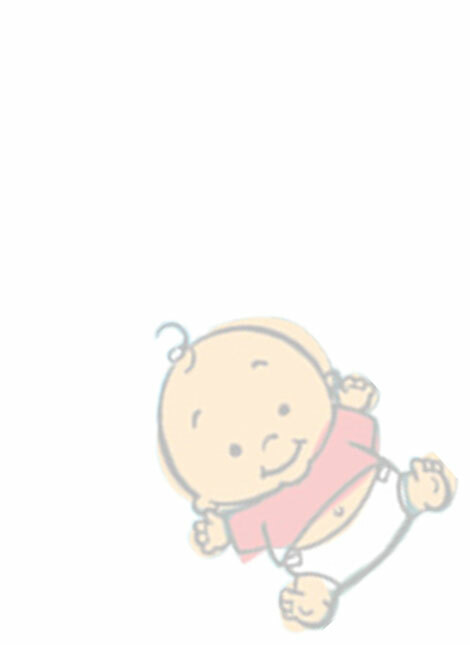 Founded in 2006, Baby Signs Hong Kong has now helped many families enjoy the benefits of being able to communicate effectively with their babies before their babies can talk. Singwa Lim, director of Baby Signs Hong Kong, is the first to bring the Baby Signs® Program to Asia. Singwa has successfully used the Baby Signs® Program with her son, Joshua. She started signing with Josh when he was eight months old. Josh signed back in six weeks. At 15 months, Josh knew over 70 signs, already spoke over 120 words, and was able to string together 2- to 3-word sentences. At 24 months, he had a spoken vocabulary of over 600 words. Josh has been speaking in full (complex) sentences since 18 months. Singwa is fortunate to embark on another Baby Signs® adventure with her second child Zoë, who, at 16 months, had over 90 signs in her repertoire. Singwa feels very blessed to be "doing what she loves and loving what she does" and hopes to be able to continue to make a difference through conducting Baby Signs® workshops for families and training others to be Baby Signs® instructors. Singwa looks forward to helping you get started on your own Baby Signs® adventure and truly believes that you and your family will benefit from the Baby Signs® Program as much as her family has. You’ll discover for yourself how amazingly rewarding and enriching this can be for you and your family. If you would like more information about the Baby Signs® Program or how to become an Independent Certified Baby Signs® Instructor, please email info@BabySignsHongKong.com.